I think there is always at least a little fear with everyone when they leave their home for vacation, work trips or even just for the weekend. Fears of break-ins, burglars and items stolen can really haunt and even ruin a vacation! That's when it's time for a home security camera in your home and I have ther perfect one for the job! 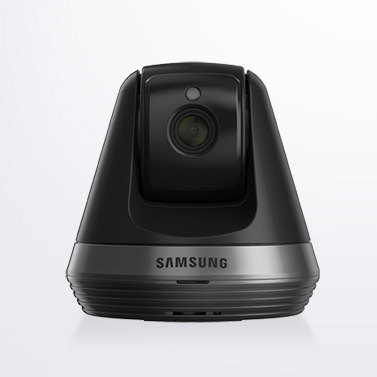 Samsung Techwin’s newest home security camera, the Samsung SmartCam PT, remotely pans 350° and tilts 155° and delivers a 96° field of view, enabling users to easily monitor their homes, businesses, toddlers and pets from their mobile devices and without any blind spots. 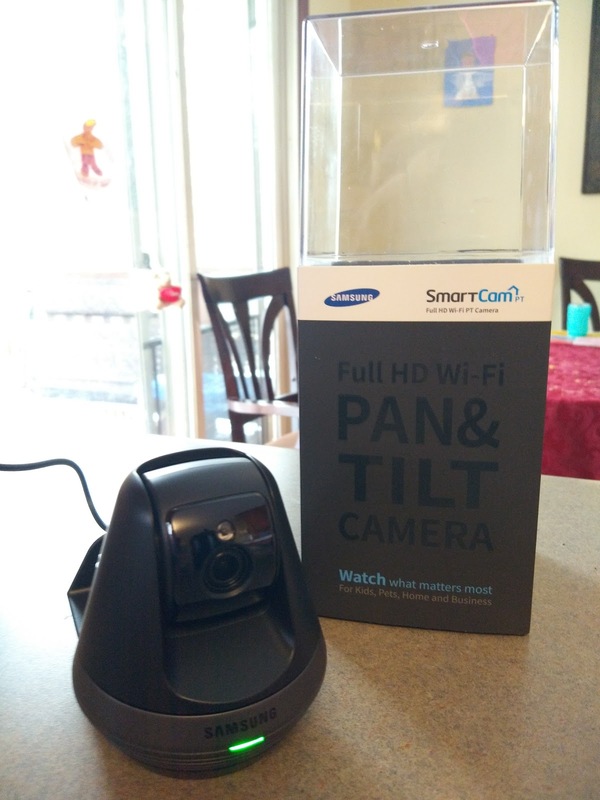 In addition to the flexible Pan & Tilt features, the SmartCam PT offers 1080p full HD resolution, night vision capabilities up to 16 feet, up to 128 GB of video storage and the ability to record video or still images directly to a mobile device (while using the SmartCam app). Auto Tracker – This feature allows consumers to remotely track any object or subject within the SmartCam PT's purview. A user simply needs to activate the auto tracker on their mobile device and it will automatically track the closest moving object/subject. Wide Dynamic Range – This capability allows the SmartCam PT to handle an extensive range of lighting conditions in the vicinity. It can easily distinguish a subject in an area of high brightness and low brightness by adjusting to the conditions in order to deliver crisp videos. Privacy Mode – If your home doesn’t need 24-hour monitoring, this service gives users the space they deserve. Users simply need to turn on privacy move and the camera will tilt down 80° down to hide the lens. Remote viewing and recording abilities will be disabled for the time being. 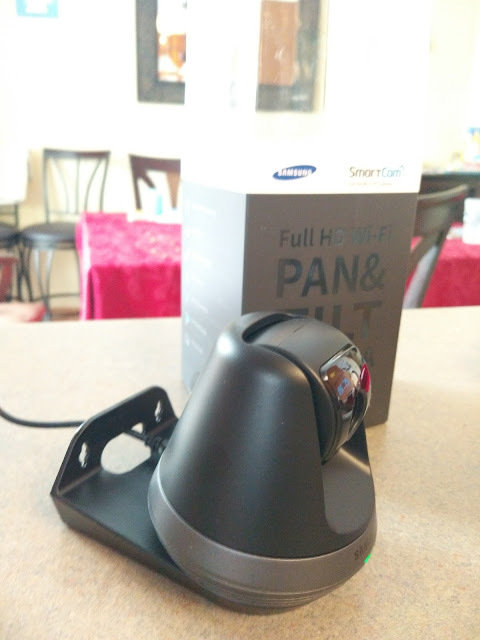 The SmartCam PT boasts a stylish and compact design, giving users the flexibility to place the camera in different areas and blend into the home decor. My husband can even talk to us while he is at work and we are at home. We can keep an eye on the house when we are out of town or even grocery shopping! It spins easy for views of the whole room and is easy to set up! This is our home security camera of choice and we feel so much more secure when we leave town now! You can get peace of mind also with the SmartCam PT!